There are many names of this cute dog or can we say ‘Dachshund puppies’? After all, how small the weenies look even in their full-grown physique! 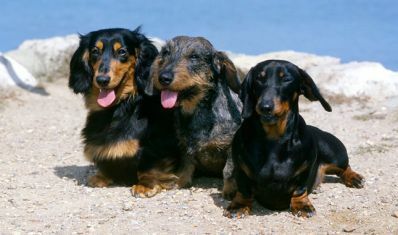 However, the sausage dogs do not only have mesmerizing physique but also other features too. 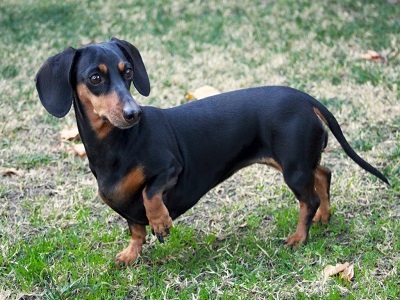 In fact, you are a step away from learning about the traits, some facts, and common names of Dachshund. 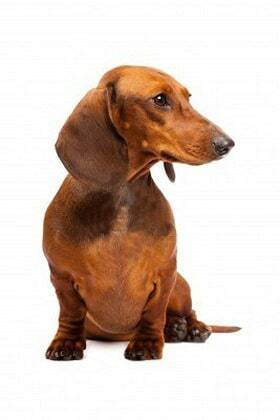 Since we are starting with the description of the standard Dachshund dog breed let us see its pronunciation. Yes, the dachshund pronunciation goes like this: ‘Daks-Hund’. Let us start with the various traits and different characteristics of this magnificent pooch i.e. ‘Dachshund’. Moreover, you have seen these pooches will be very friendly to everyone in the family. Despite their small size, they are always ready to take down the stranger. Having said that, we shall now start with the traits first that you might have googled ‘Dachshund puppies near me’ without exactly knowing it. 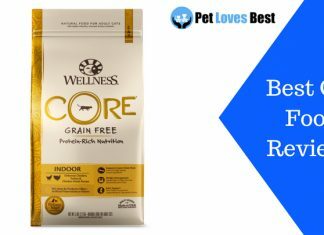 First things first, you might find the temperament or the traits of your pooch differing from that we have stated here. Because temperament will differ due to many factors especially if you have a Dachshund mix and not a purebred. A Doxie has the roots from Germany, which on the other hand have adapted to every continent. However, hotdog cannot tolerate severe cold and thus dwelling in the colder regions require more caring of the pooch. Adding to the fact, an average Dachshund lifespan could be anywhere from 11 to 15 years. Furthermore, here we have a cute looking, cute behaving, cute fighter, Dachshund dog breed. They are also renown as sausage dogs. These dogs have an acute sense of smell, that could drive them to the hunt/prey. In fact, the hunters used weenies to fetch them shot-down hunts. Also, they used the sausage dogs for hunting the small burrowing animals i.e. rabbits, etc. Apart from that, weenies have an outgoing/adventurous persona that drives them to conquer any creature who challenges them. In fact, the Dachsie will prove his loyalty and bravery during a situation when they see a stranger intruding into your space. However, they do not understand they are the miniature Dachshund pooches, that drags them into a hazard. In the same manner, a Doxie will be ready for a walk or a trip all the times. There is one funny thing about their walk is that their bodies mildly wiggle. Additionally, their feet will have a swiveling motion due to a smaller stance. The hotdog pooches have an unusual long body and very short height. It appears like the Doberman’s body length and Chihuahua’s feet. By the way, this very posture makes the mini Dachshund breed very susceptible to back deformities or damages. Moreover, the pet parents owning the Dachsie will plan on buying a back brace(supporter) once the pooch reaches his full size. Their unusual size was the main reason that a Doxie could hunt the burrowing animals. The hunters set these pooches free in prairie land where shooting is not possible. In fact, the hunters would even use the Weenies to fetch the fallen hunt after a gunshot. The small and agile bodies of the Doxie dogs allow them to follow the trace of the scent into the denser woods. You will learn some of the most renown and least known facts about the apparent breed i.e. Weenie. Furthermore, there are three different topics in which we will describe the fun facts and learnings about this species. The three topics are namely size, coat, World records that the concurrent pooch breed have. You will be amazed pet parents even hardly know of the Dachshund miniature species have vivid characteristics! Here we are going to tell you that all the things you believe about the Doxie dogs are incomplete! Because most of the dog lovers recognize this breed having the height no more than ten inches, which is partially true. Actually, there are two types of hotdogs i.e. the small and the big. Yes, there are two Dachsie species that vary in height. Thus, now when you plan to own one and look for the dachshund puppies for sale, make sure you recognize the mini Dachsie and biggie Dachsie breed. Furthermore, the Dachsie pooch can weigh about 40 lbs. in adulthood days and will grow as taller than ten inches in height. 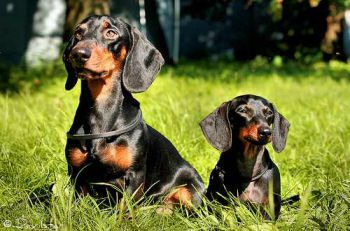 And, the ones that you have seen that hardly grow taller are actually the mini Dachshund breed or even the Dachshund Chihuahua mix. 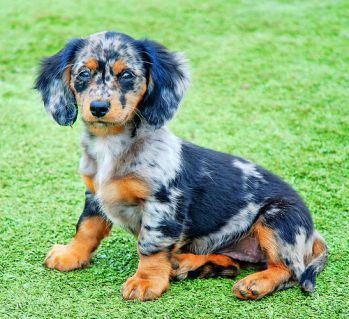 Moreover, people have observed the Dapple Dachshund which has a single colored coat and a few spots on it. However, there are three types of Weenie coats i.e. short, wired hair, and long fur. The long-haired Dachshund will look similar to the renown Charles Cavalier King Spaniel. On the other hand, we have the wire-haired Dachshund that resembles the Airedale terrier. Apart from that, you will observe that the Weenies have a total of fifteen coat shades. However, some pooches might have a single shaded coat whereas the other might have multiple shades. This is the most interesting thing that the weenie has ever achieved. 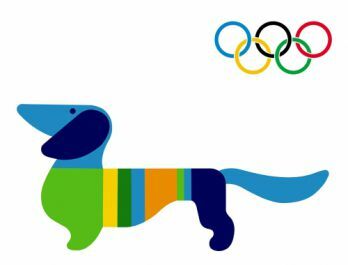 In fact, the Weenie namely Waldie has a Guinness World Record to her name for being the first mascot in the Olympic Games in 1972. Also, it was the first time when the concept of the Mascot started existing. Moreover, people started owning this breed and even the Dachshund rescue homes also established after then. Here we conclude our article on the magnificent Fido species ‘Hotdog The Dachsie Doe’. Also, you could reach out to us in case of any doubt. We will be happy finding you a solution for the same.